You owe it to yourself to watch this video made with real images the Sloan Digital Sky Survey (SDSS). These are REAL galaxies that you are seeing in a three dimensional view as you "fly" through and amongst the trillions upon trillions of stars and planets that reside within all of these island Universes. I suggest that you download it watch it in a dark room with your screen at full brightness and do so several times as you will see something new each time. What impressed me the most, besides the sheer number and variety of galaxies we see, are the strings and clusters of galaxies that we encounter. These are real structures and it is most enlightening to see them in all of their massive and far reaching splendor. 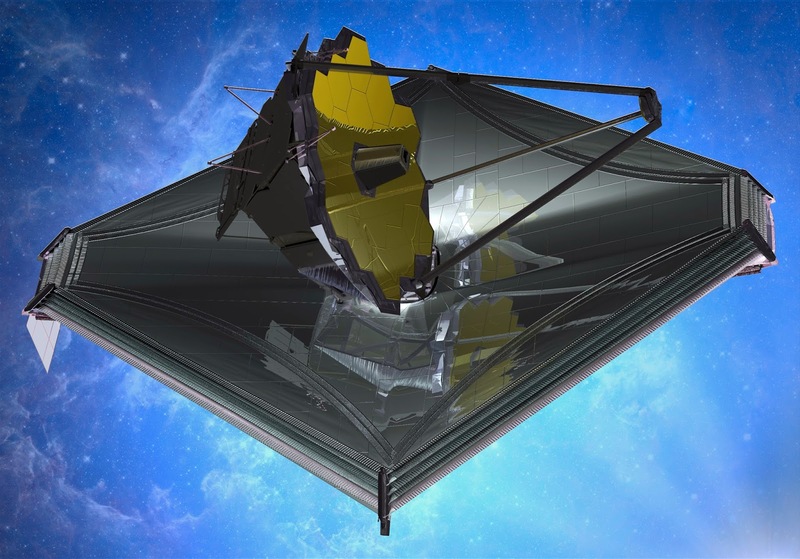 Studying this structure may help us unravel the mysteries of dark matter and dark energy. Tune in today at noon EST to watch live the launch of the revolutionary Global Precipitation Measurement (GPM) spacecraft. 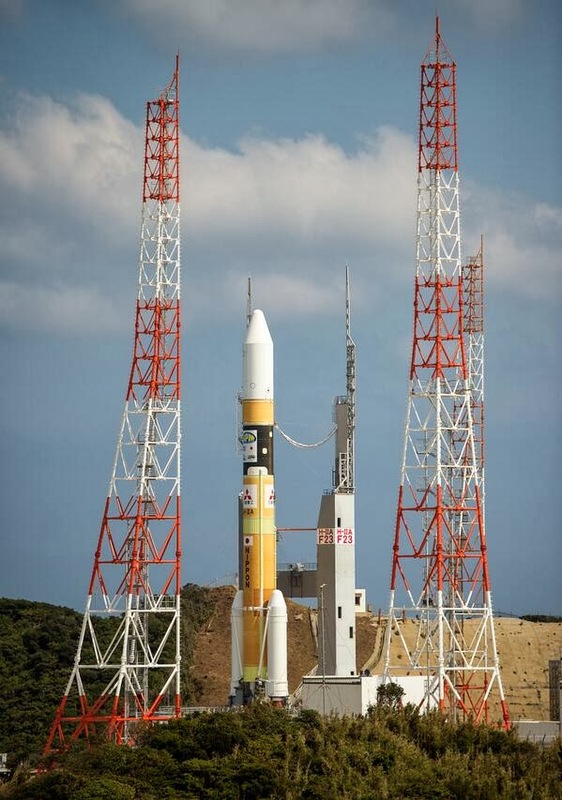 GPM will be launched from Japan at 1:37 p.m. EST if all continues to go well on the countdown. GPM is revolutionary in that it will allow for precise measurement of rain and snow across the entire planet which will aid in the weather forecasts. GPM will also help us gain new insights into the planet's water cycle and help mitigate drought stricken areas such as California. Water on our planet is not created, it is recycled. Rain and snow fall, evaporate back into the atmosphere to start the cycle all over again. The more insights we can gain into this process on a global scale affords us better predictions of weather and water distribution patterns. GPM is the first of 5 Earth missions for 2014. GPM was built at Goddard Space Flight Center. During the predawn hours of 2/27/14 you will see a beautiful pairing of the waning crescent Moon and elusive Mercury. Yesterday it was Venus and the Moon dancing in the sky with Venus being covered by the Moon in some parts of the globe. This will be a good photo-op as there will be Earthshine on the Moon - the grayish unlit portion of the Moon. Just mount your camera on a tripod and take several pics at ISO 200 to start using a shutter delay to minimize camera jitter. The Earthshine will be quite visible as the Moon is closest (perigee) to the Earth for this lunation on the 27th. It has been stated that only .1% of all of humanity has ever seen Mercury AND recognized it as a planet. That is because Mercury is always close to the Sun and moves quickly in the sky day to day. But use the Moon as a guide as you can see in the illustration below to join that elusive club of Mercury spotters. You need a clear horizon and binoculars will help. Just spot the Moon and look below to find yellowish-white Mercury. During the predawn hours of 2/26/14 you will a beautiful pairing of the waning crescent Moon and brilliant Venus. Your location and viewing time will determine how they align but some parts of the world will see Venus covered (occulted) by the Moon. This will be a good photo-op as there will be Earthshine on the Moon - the grayish unlit portion of the Moon. Just mount your camera on a tripod and take several pics at ISO 200 to start using a shutter delay to minimize camera jitter. By the way the stars of summer abound in the morning sky which gives hope for the coming spring and release of winter's cruel grip this year. The Moon and Earth get smacked every day by incoming cosmic debris in the form of comet and asteroid dust and small space rocks. On Earth we had the Chelyabinsk impact on February 15, 2013 and nightly fireballs (bright meteors) to remind us of this. As to impacts on the Moon NASA has gathered video of over 300 impacts on the near side from observers using telescopes. NASA has become a clearing house for this data from its own telescopes and other observers, including amateur astronomers. NASA obtains new impact candidate videos all the time for analysis and confirmation. NASA had reported last year on the largest observed lunar impact to date but a new "biggest boom on the Moon" was reported today by Spanish astronomers. The impact took place last September 11, 2013 (a most ironic date) and was bright enough for anyone looking at the Moon to have seen it. The reporting team estimates the flash from the impact would have been as bright as Polaris, the North Pole star. I suspect that there will be new "Biggest Boom on the Moon" record holders as the nights and years go by. I hope I am luck enough to see one for myself. What If A Violent Sun Erupts? 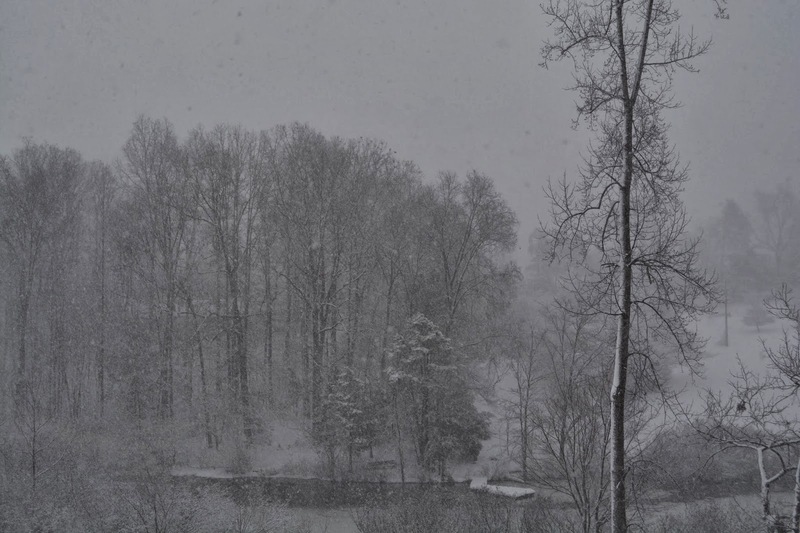 With our terrestrial weather, read winter, having been such a factor in our daily lives recently here in DMV, I thought you might find the following of interest. It certainly provides food for thought in a realm you are probably not familiar with - spaceweather. We take for granted our star, the Sun. We know it will be there every new day and count on it for life-giving warmth and energy. We also have become accustomed to it being well behaved. What many people do not know is that our Sun had an episode of disturbed behavior in 1859 that if it were to occur today could have civilization changing repercussions. Our Sun is a 4.5 billion year old star that we have been monitoring since Galileo. 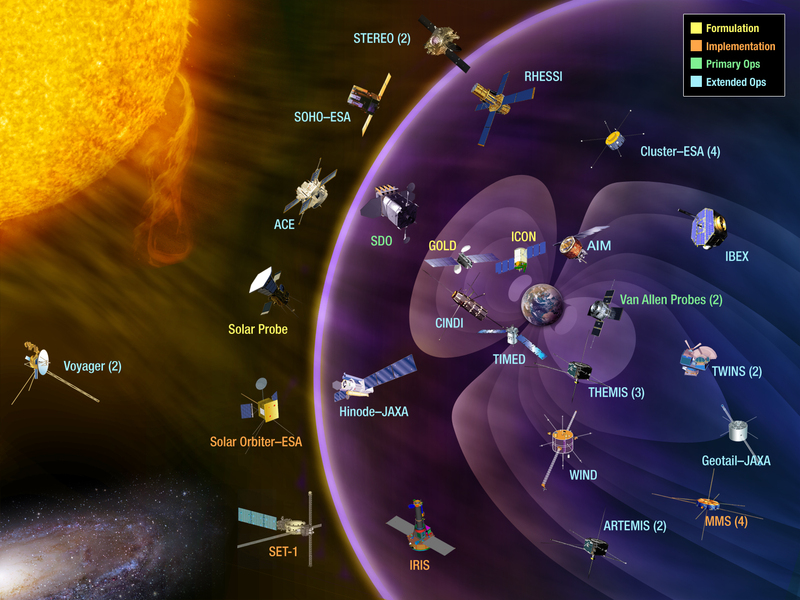 Today we have a fleet of spacecraft that monitor the Sun and spaceweather including the side that faces away from Earth, so essentially 24x7x365. Spaceweather (I check this site every day just as I do my local weather) has become a true science with daily predictions of what the weather in the solar system is going to be which of course depends on the Sun as does our earthly weather. Storms on the Sun can release tremendous amounts of energy, radiation and particles into the solar system that affect our GPS, communications and electrical grid. In 1859 on September 1st the Sun experienced a solar storm episode that was observed by Richard Carrington that ended up bearing his name -"the Carrington Event". This was a watershed event in solar astronomy and also the Sun's affect on the Earth as nothing like it has not been seen since - thankfully as you will see. 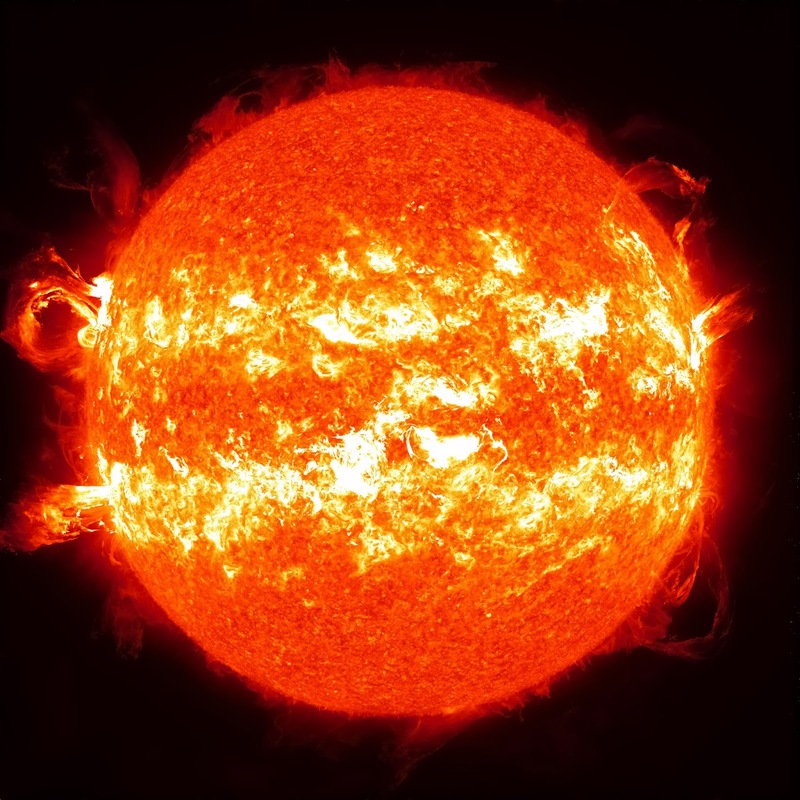 If a Carrington-level solar event were to happen today the affect on modern society's infrastructure could be potentially catastrophic, especially the electrical grid which fuels everything else. If you think this is unlikely or too sci-fi to be true, I suggest you read the report by the National Academies of Science published in 2008. I for one am glad that at least we should have a warning thanks to NASA if we get a Carrington-level event or anything that approaches it in intensity. We also have talented and dedicated people working on spaceweather every single day. Their work is vital to our well being as is the work of meteorologists studying tornadoes, storms and terrestrial weather. Maybe now you will want to start checking on spaceweather daily as part of your weather routine. Labels: What If A Violent Sun Erupts? Here is an excellent article on the Moon from the good folks at Sky and Telescope. I love looking at the Moon with my eyes and my telescope or ANY telescope for that matter. I also have rocks from the Moon that I can touch and study. The gray areas are in fact seas of solidified lava created when the Moon was repeatedly hit by either a comet or an asteroid billions of years ago when the Moon had a molten core. Liquid lava oozed out into these great impact basin filling them and solidifying. The ancients thought the Moon to be a perfect sphere but Galileo's observations with his telescope showed craters and mountains and the great gray areas. A view with a modern telescope or even a good pair of binoculars shows the largest craters some with rays and a lot of wonderful detail. You owe it to yourself to look at and ponder our Moon. Check out the Lunar Picture of the Day (LPOD) for a daily fix of Moon pics - I do. If it looks like it is going to be clear for your area tomorrow morning an hour before dawn, get outside and take a look at an impressive line up in the southern sky. The imaginary line in the sky where the Sun, Moon and planets can be seen is called the Ecliptic. It makes its way through the sky falling within the 12 constellations of the Zodiac and its angle above the horizon depends on what time of the year it is. In the winter the ecliptic at night rides high in the sky. And now in the hours before dawn the summer constellations with the glorious Milky Way have the ecliptic at a lower angle above the horizon in the south. This morning (2/20/14) I was out an hour or so before dawn (it is getting lighter earlier) and saw a pretty line up along the ecliptic of brightening and reddish Mars, the almost Last Quarter Moon, bright pale yellowish-white Saturn, the summer constellations of Scorpius and Sagittarius and finally, brilliant Venus. It has been awhile since we have had a lineup in the sky like that so it is worth getting out to see it tomorrow or the next few mornings. Over the next few days we will see the Moon get closer and closer to Venus for a glorious sight as the two pass close to one another on the 26th. Wishing you clear skies and warmer temps! I don't know about you, but this winter got my attention with over 18+ inches of snow, bone chilling temps for days and now rain with thunder. This has NOT been a typical Virginia winter and is making up for the past several that were somewhat mild. If you have been suffering through winter in the U.S. I consider this article a MUST READ. The average world wide temperature on our planet is changing - it is increasing. Is this long term or a short term? I don't think anyone can say. The five launches, including two to the International Space Station (ISS), are part of an active year for NASA Earth science researchers, who also will conduct airborne campaigns to the poles and hurricanes, develop advanced sensor technologies, and use satellite data and analytical tools to improve natural hazard and climate change preparedness. I don't mind telling you that I am concerned as to where our planet's climate is headed. I have been on this planet for over 6 decades and I can never remember a string of weather-climate events like we have had in the past few years. I have always said to my college classes that humans can exist on this planet because of two things - climate and geology. Change either one and you change humanity. Only time and data will tell. I'll have more on the NASA missions as they come about. Sky Guy Internet Viewing Alerts! Tune in tonight 2-17-14 at 9 p.m. EST to watch the live flyby of a large asteroid on Slooh. On 2-19-14 at 1 p.m. NASA will host a teleconference on supernovas that will be carried live. Labels: Sky Guy Internet Viewing Alerts! Hear about the rock on Mars dubbed the "Jelly Doughnut"? The mystery that spawned a lawsuit has been solved. One year ago today I was preparing to go on Fox 5 TV and discuss the very close approach of Asteroid 2012 DA14. I checked my iPad for updates and was amazed at the stories coming out of Chelyabinsk, Russia regarding a huge fireball. I also made this event my top space story for 2013 as it was historic due to the number of injuries and damage to buildings it caused - the most ever recorded due to a asteroid/meteorite event. Chelyabinsk would go on to be the most documented meteorite fall ever due to the number of videos, sound recordings, photographs, witness interviews and the precise recovery process of associated meteorites, 3 of which I own. In the year that has passed we have learned much about not only the Chelyabinsk impactor and the threat posed by asteroids in general. Scientific papers have been written and more will surely follow. Chelyabinsk was a watershed event in the history of asteroids and impacts because of all the data gathered and the analysis that followed. Chelyabinsk has also improved our knowledge regarding the threat posed by asteroids that are smaller than a kilometer. The smaller asteroids like Chelyabinsk pose a greater hazard for damage than previously thought. Efforts to defend ourselves against asteroids (and comets) has taken on new life as can be seen in this essay by Ed Lu of the B612Foundation. Efforts are underway by the United Nations and NASA to develop defensive capability as well as improved detection of the millions of Chelyabinsk-sized asteroids out there. One thing we know for certain is that we will be hit again. If we get good enough at detection and defensive capabilities - after all space is a very big place and we are talking millions of potential impactors - we might be able to deflect or destroy the incoming impactor or absent those possibilities, evacuate the impact zone. We have had our warnings. We need to heed them and prepare. We do not want to go the way of the dinosaurs or have a Tunguska or larger impact event involving a major city. The dice of chance and the passage of time are never ending. So must be humanity's collective efforts to defend ourselves. 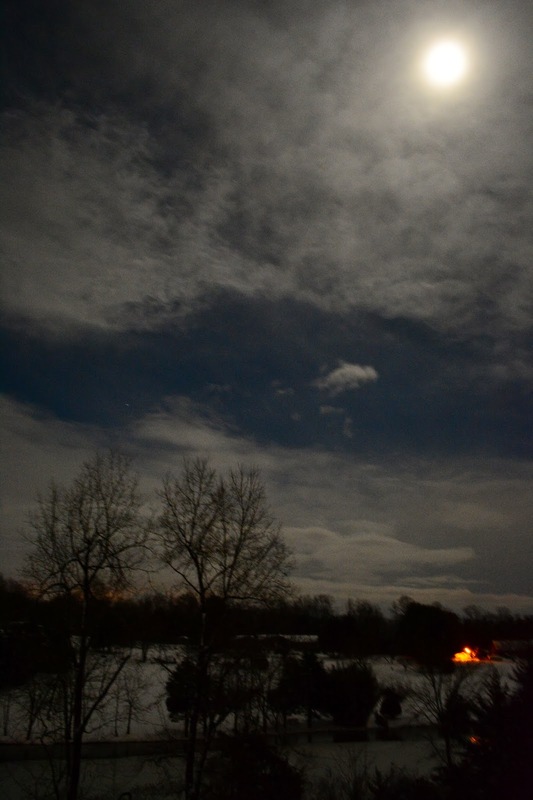 Tonight the Full SNOW Moon will grace our skies and newly fallen fresh snow here on the East Coast of the U.S. The Moon is Full at 11:55 p.m. EST. Take advantage of this happy coincidence of the Full Moon on a romantically themed day AND the beauty of moonlight on freshly fallen snow. You couldn't ask for better circumstances for amore! Spent about 5 hours shoveling snow, got things clear and then this at 4pm! We got 14" from the 1st round and I think we will get 4-6" more. No LET up yet. Back to space stuff tomorrow. If in VA or elsewhere in this storm BE CAREFUL! It is not over….reminds me of typhoons - front end and back end. BUT it was gratifying to see the color of Mars and some possible detail. 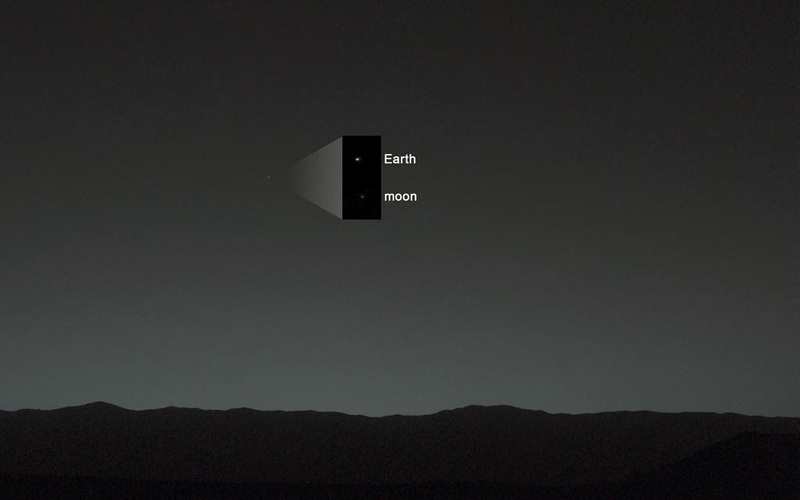 The view will only get better as Mars gets closer to us in April. The dark finger-like features are seasonal and the colors come from different minerals. We know Mars has water. 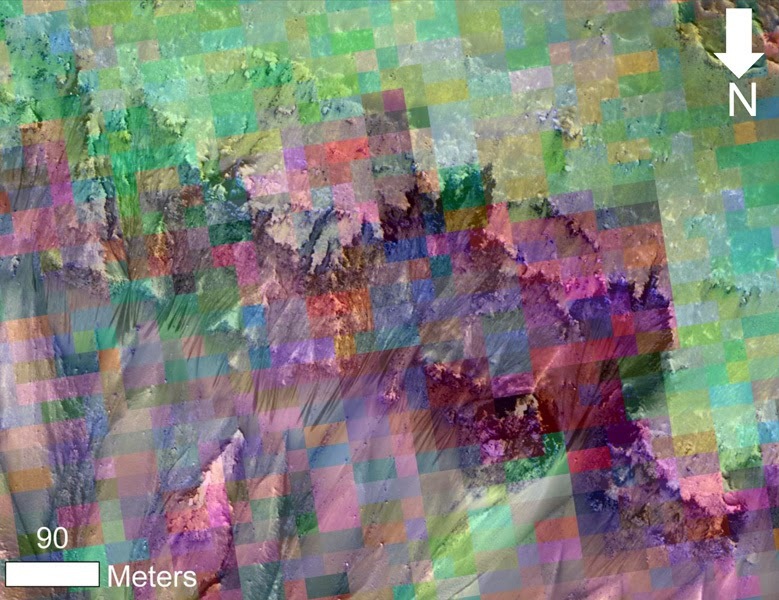 These images suggest very strongly that Mars could have liquid water - a big find indeed. Be sure to go out after sunset and see the two brightest objects in the sky, the Moon and Jupiter close to one another in the east. This will be a pleasing sight. Also check the ISS for flyover on the East Coast of the U.S. tonight. Starts at 6:08 p.m. for Charlottesville, VA and 6:11 p.m. for D.C. Check out the new Pluto-New Horizons video. 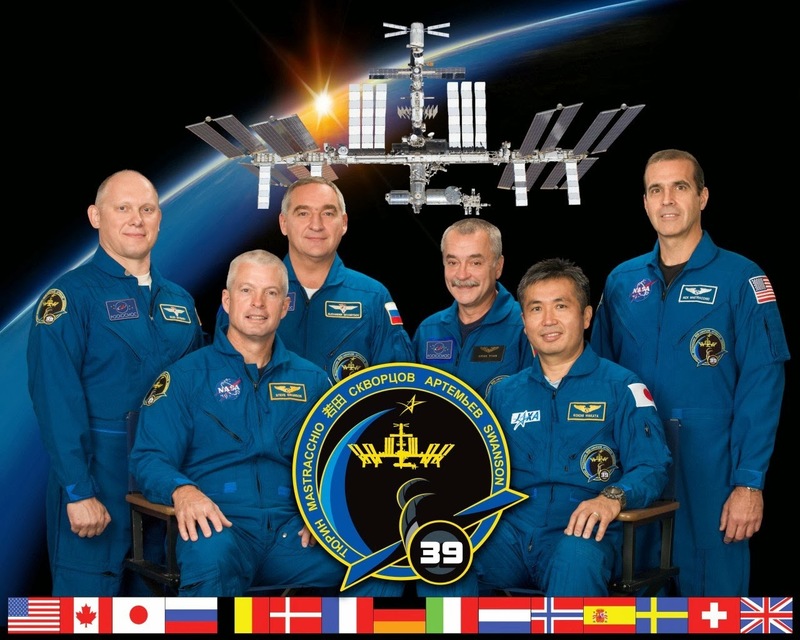 The International Space Station (ISS) has been nominated for the 2014 Nobel Peace Prize and I think it is well deserved. I never tire of seeing 1million pounds of space hardware and six humans representing various countries fly silently overhead as you can see in this pic I took on 2-7-14. I believe that if humanity can survive our Neanderthal and ultimately suicidal tendencies of killing and war due to territory, politics and religion, space will be the unifying factor for our species. ISS was built by multiple nations and is manned by their personnel. ISS has been extended to 2024 and should be able to go to at least 2028. Get and see ISS for yourself and take a picture like I did using a tripod and a 10 second exposure. Send me your pic @SkyGuyinVA or post as a comment. Here is the latest from NASA on the California drought - the most extreme in the state's recorded history. I think the day will come when the state will have to start building desalinization plants to meet water demand. Probably sooner rather than later. We were 99 million miles away at the time. See the full resolution photo and story here. 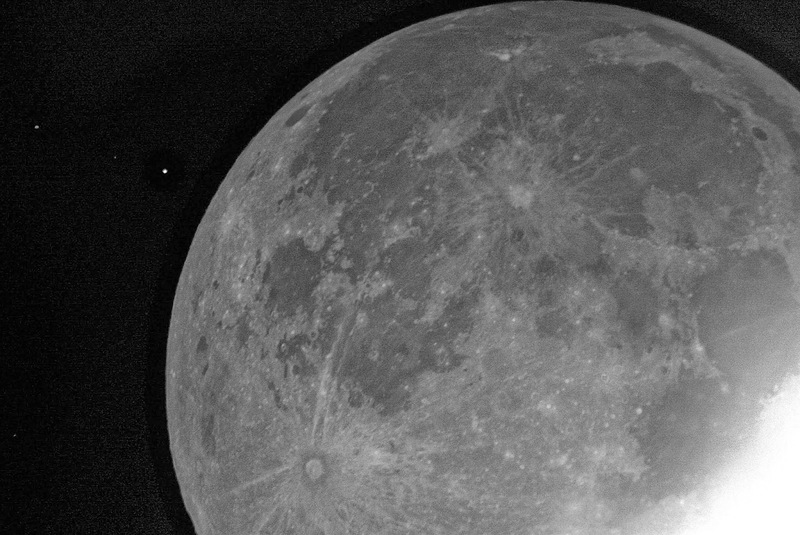 Just about every spacecraft launched has taken a picture of the home world and our Moon. Cassini at Saturn did it last year and perhaps the most famous ever was the "Pale Blue Dot" captured by Voyager 1 in 1990 at 3.7 BILLION miles. It helps to see ourselves from a perspective that shows how small we are against the black void of space. Sane people should realize that this world is all we have with each other in it. The day to day insanity and brutality that is carried out on behalf of religious, political and greedy causes speeds our demise as a species. Perhaps one day our Pale Blue Dot will be home to a peaceful, united world that explores the blackness of space in search of other Pale Blue Dots. 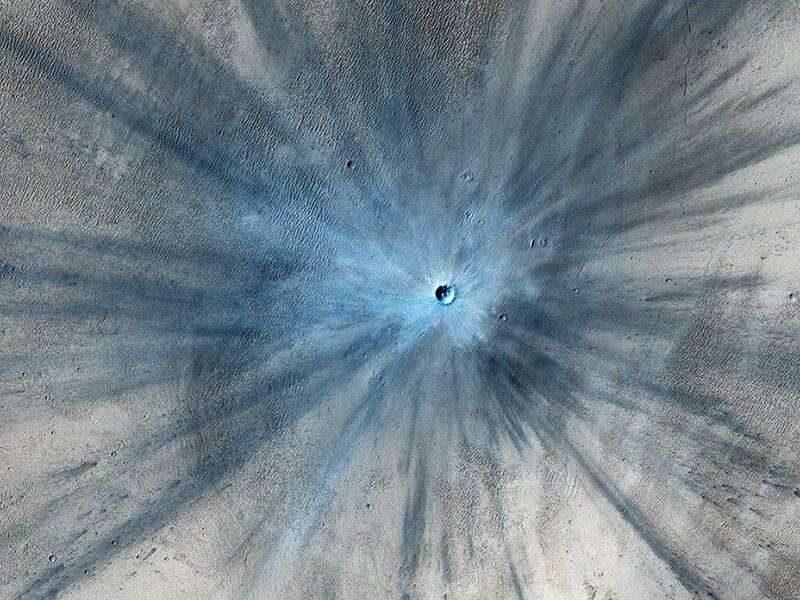 On average Mars gets about 200 new impact craters a year. The Mars Reconnaissance Orbiter (MRO) has photographed a number of new Martian craters but I have to say none as spectacular as this one. It looks like the impactor came in from the south and blasted out a 100 foot (30 meter) crater. Ejecta was thrown as far as 9.3 miles (15 kilometers). The true color photo shows the all permeating reddish dust that covers Mars. It also shows fresh underlying material in blue where the dust was blown away. MRO imaged this area in July 2010 and again in May 2012. The image above was taken on Nov. 19, 2013. Mars is rising now about 11 pm in the east and will be getting much brighter as it gets closest to Earth in April. I wish we could see an impact like this on the Moon as it would be truly spectacular - no atmosphere to slow the impactor down although the Moon's gravity well is smaller than Mars. I think the impact would be easily visible to a lucky telescope observer. The resulting crater would probably be larger and the ejecta would go much farther due to the lower gravity. Lunar Reconnaissance Orbiter would get great pics. 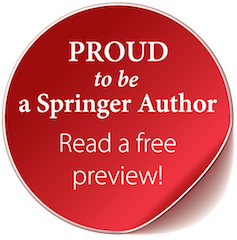 I wanted to thank you, personally, for visiting my blog. I am now averaging over 1,500 page visits A DAY and increasing. Yesterday was a milestone as "What's Up? The Space Place" had its 100,000th page view and an all time high of 2,108 views in 1 day! Incredible….. I started this blog in May 2007 on my birthday and it was a good day to get 10 views. It is an important part of my astronomy and space exploration outreach. I have kept ads off and tried my best to bring you, dear reader, the best information and stories I can. Please share my blog with others and ALWAYS know you can contact me at any time at skyguyinva@gmail.com. I welcome your comments and feedback. You can also follow me on Twitter @SkyGuyinVA. 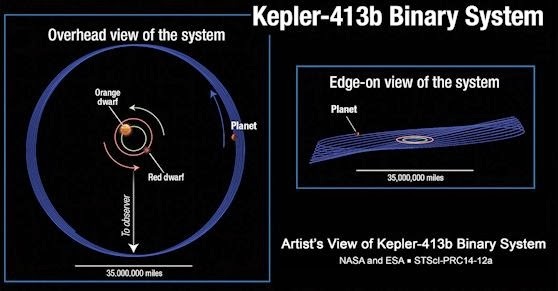 The latest exoplanet found by the Kepler spacecraft is a doozy! It is a wild wobbler that gyrates like a child's top. If you lived on it the seasons would be something to behold. Kepler 413-b is 2,300 light years distant in the Constellation of Cygnus the Swan. It orbits every 66 days a binary system composed of a red dwarf and orange dwarf stars. The planet's seasons would be erratic and every changing unlike our own planet's orderly procession of four seasons over 1 year. 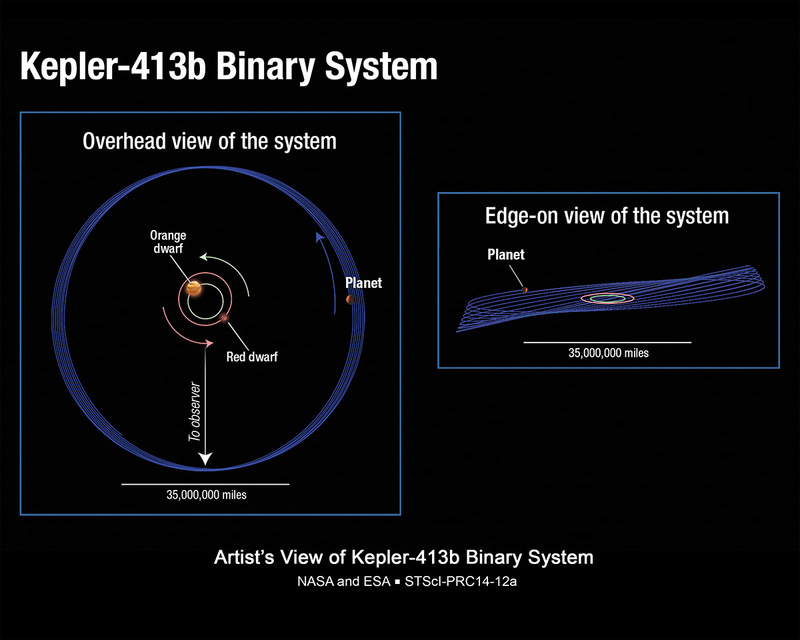 There are over 1,000 confirmed exoplanets and thousands more candidates awaiting analysis. Each new find has some uniqueness about it and we are finding a veritable planetary zoo out there among the stars. My belief is that there are normally planets around each star as a natural byproduct of stellar formation. Not to have planets is the oddity and not the norm. If so, there are hundreds of billions of planets and our discovery of them will continue unabated. I hope that some of our attendees at the Inn at Perry Cabin's "Starfest 2014" are reading this! We had a GREAT time the weekend meeting new people, giving presentations and holding two star parties. Last night was magical as we had a good group and almost clear skies to enjoy s'mores, hot cider and hot chocolate personally prepared by the Master Chef of the Inn. With a nice hot fire pit to get warm when needed we embarked on voyage through space and time starting out with a nice view of Mercury, the crescent Moon, Jupiter and its four moons all through a telescope. We also looked at Sirius through the 'scope before we used our own eyes as nomads of old to huddle around as a group with a fire and the stars as company. The best part of our star party was that families, including young kids, were attending a star party and looking through a telescope for the very first time. To hear the "oohhhs, aahhhhs, wows, cools and sheer glees of delight was, well, wonderful. People are curious about the Universe they live in. A cold night under the stars with a fire makes one consider what our ancient ancestors once did. And what of the humans before the first flames were created? The would have huddled together for warmth and protection but still would have gazed at the night sky. Each of us is connected to the Universe on a most intimate basis - no Universe, no us. No Sun or Earth, no us. No massive stars and their exploding deaths, no us. Our individual oneness with the Universe is at its height when under the stars. I hope you get to experience this by spending time under the stars and letting your thoughts wander amongst the sky. I am here at "The Inn at Perry Cabin", St. Michaels, Maryland conducting "Starfest 2014", a series of space presentations by day and nights under the sky. Starfest 2014 is running from 1/31 to 2/2. This is a BEAUTIFUL resort right on the water of the upper Chesapeake Bay, which is fortuitous as one of my presentations is on the Chesapeake Bay Impact Crater. My other presentations are on meteorites and the future of U.S. Manned Spaceflight. Our nights under the stars have been with a fire pit, hot cider, hot chocolate and lots of blankets. Under the stars we have discussed the life and death of stars, the constellations and the structure of the Universe. Families and staff have attended and it has been a lot of fun.